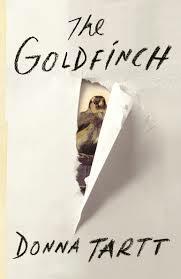 Donna Tartt’s The Goldfinch was definitely worth waiting a decade for. I’m only a short way into this 771-page novel, so this isn’t a review. Here’s a nice one if you’re interested. I loved Tartt’s earlier books–The Little Friend and The Secret History. I also love that she isn’t in a hurry to produce these treasures. She takes her time, and her prose is amazing. And of course I love that she’s writing about art and the underworld and abandonment and so much great human suffering and emotion. And did I mention she’s a Mississippi gal? She strongly encouraged me to rest, elevate the foot and ice it several times. To slow down the trips up and down the stairs. To use my ankle corset again and crutches as needed. All of this sounded like reversal of progress, but she assured me it’s not. That being in more pain isn’t going to help me heal sooner. 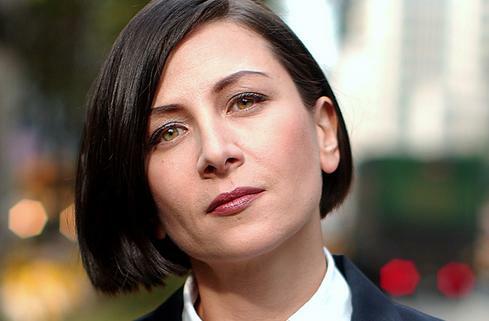 Watched two TV shows I recorded last night (The Good Wife and The Paradise). Written and published this blog post. Ordered another dress from Soft Surroundings, this time using a gift card from a dear friend! Ordered more K-cups for our Keurig. And the plan for the afternoon? 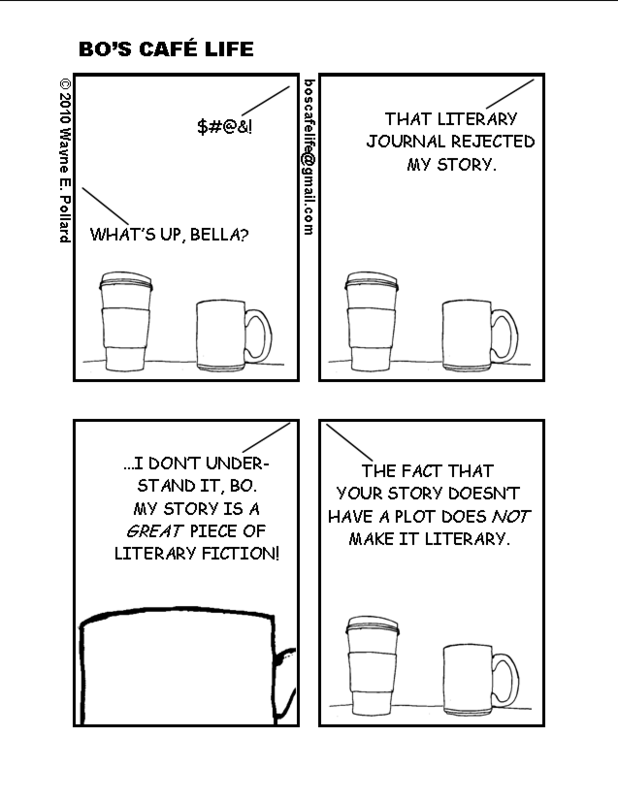 And maybe… work on novel revisions. But that’s hard to do with my foot elevated, so we’ll see. It’s so hard to slow down when you’re wired for going full steam ahead most of the time, but I’m really going to try! Maybe I can pretend I’m somewhere else…. If you’re on Facebook, you probably already read about my disposal exploding Wednesday afternoon—just as I was finishing up cooking a meal for a friend who had surgery. This has happened before, but with my neck and ankle still healing, I knew I shouldn’t get on my hands and knees and lean up under the sink to clean up the mess. So, I decided to put a picture on Facebook, and lo and behold, a neighbor saw my plight and came over to clean up the mess! Sweet Rachel Rieves and I had only met once, at her daughter’s wedding last year. But because of Facebook, she knew about my situation and stepped in like a life-long friend. And then the next day, another friend came by to purchase three copies of Circling Faith: Southern Women on Spirituality, to give as gifts! She had heard from someone else that I had a few copies that didn’t sell at the library’s Bookstock event a few weeks ago. I was honored to inscribe them for her. It’s exciting that a book like this, which came out a year and a half ago, is having such an ongoing life. We will even have a panel at the Louisiana Book Festival on November 2! 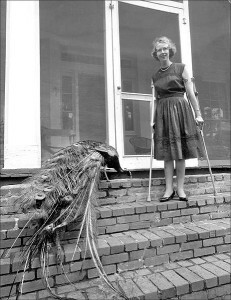 The work of Flannery O’Connor could be harsh, violent and discomfiting. And yet it is also thick with truth, grace and redemption…. to those willing to consider her work more deeply, powerful themes of deeply religious truths become apparent. Perhaps the greatest and most pervasive of these truths in Flannery’s stories is the pain, suffering and “meanness” that often accompanies the beautiful grace of God. The author goes on to point out that O’Connor had the “right” to write about suffering because of her own painful experience with lupus, of which she died at age 39. I’m not sure one must experience something in order to write about it, but I do believe our life experiences inform our writing. So, morning or evening, immediately before you begin to repeat your prayers, stand awhile, sit for a while, or walk a little and try to steady your mind and turn it away from all worldly activities and objects. 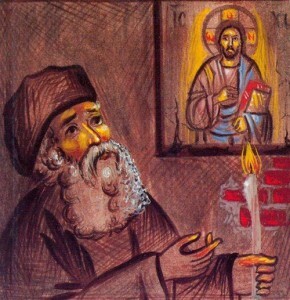 After this, think who He is to whom you turn in prayer, then recollect who you are; who it is who is about to start this invocation to Him in prayer. Do this in such a way as to waken in your heart a feeling of humility and reverent awe that you are standing in the presence of God. Amen. Have a great weekend, everyone! Writing on Wednesday: Pre-Order The Shoe Burnin’ Anthology NOW! Breaking News! 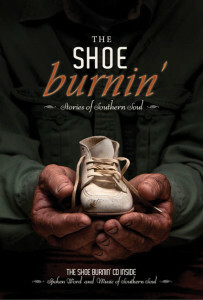 The Shoe Burnin’ Anthology: Stories of Southern Soul is available for pre-order NOW! This terrific collection of stories, essays and music from over twenty Southern authors and musicians will debut in NINE DAYS at the Louisiana Book Festival! It comes with a CD, making it a perfect Christmas gift for your friends who love good music and literature. My essay, “Eat, Drink, Repeat: One Woman’s Three-Day Search for Everything,” is included in the anthology. It’s edited by Joe Formichella and published by a brand spanking new independent press, River’s Edge Media in Little Rock, Arkansas. 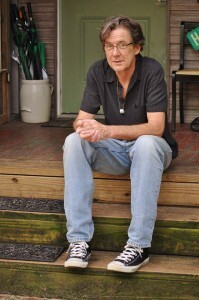 Story-teller and singer-songwriter, Michael Reno Harrell is another contributor. Enjoy a taste of Michael’s talents here as he sings “Southern Suggestions”. Homicidal librarians, French twisted, stilletto’d and on the lam, flip flop shod Bessie Smith wannabe’s and cowboy booted, beauties out to prove that to get gone a woman doesn’t need fast footwear; good-ole-boys sporting Red Wing lace-up’s and an emergency medical trained aversion to Converse wearing co-ed’s pulling volunteer duty on a cat-4 tornado cleanup crew; guilt ridden bird-dog lover’s and holders onto of life’s half-forgotten keepsakes: all this and more from a coalition of wordsmiths, story-tellers and song-swappers whose whiskey whetted forebears first stumbled onto the notion that on a cold winter’s night in the deep south, it’s better to burn shoe leather than brave a trip to the woodpile. So, what are you waiting for? Enjoy the video, meet the authors, ‘LIKE” our Facebook page, and PRE-ORDER the book now! Many thanks! I’m writing this post in the dark. It’s 6 a.m. and I’ve got physical therapy at 7:30. We made these early morning appointments when I wasn’t driving, so that my husband could take me and not be so very late to work. I decided not to change them once I could drive myself, although I’m not a morning person. Something about watching the sunrise as I drive my new Venza through downtown Memphis is invigorating. And then by 8:30 I’ll be finished with PT and ready to get the rest of the day going. Oh, and there’s a McDonald’s on the way home from PT, so I’ll reward myself with my favorite guilty pleasure—sausage and biscuit. 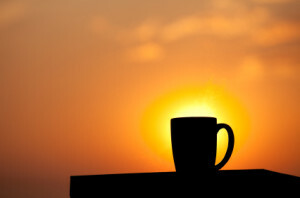 As I waited for my Keurig to fill my coffee mug this morning, I thought about how the weekend affects our Monday morning emotions. As we return to “the grind,” are we more upbeat and “happy” if we had a pleasurable weekend? Did our football teams win? (Way to go, Ole Miss and Tennessee! But oh, so sad watching Peyton’s Bronco’s lose to the Colts.) Was the weather nice? AWESOME here in Memphis—and what a blessing that I was able to get out and WALK around the block (on crutches) on Saturday and again on Sunday. Do we have something to look forward to this week? 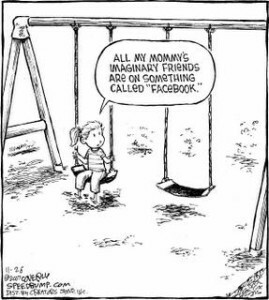 Funny that you should ask…. 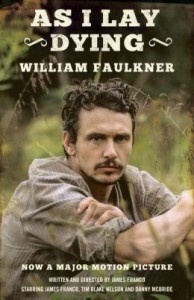 This afternoon, my best friend from Little Rock, Daphne, is coming over, and she and I are headed down to Oxford with my hubby for a special event tonight—the Mississippi premiere of James Franco’s film adaptation of William Faulkner’s “As I Lay Dying!” The film will be at the Lyric on the square, with cocktail hour to meet the producers at 6 p.m. and then the movie at 7 p.m. $20 to benefit the Oxford Film Festival. Not only will this be my first road trip since my accident, but how fun to be heading to one of my favorite places with some of my favorite people. Time to get dressed and head to PT. I can’t skip yet, but my heart is skipping. And as the sun rises when I head over the bridge from Harbor Town, I’ll be smiling. 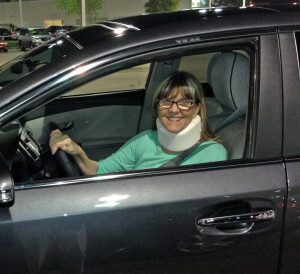 Numerous people have asked me if I am nervous about driving again, since my wreck back in July was so traumatic. During the weeks and days leading up to my maiden voyage this past Monday night, I really haven’t known how it would feel. I wasn’t nervous about it on the front end. And, thankfully, from the first drive home from the car dealership Monday night to my solo outings on Wednesday and again this morning (I drove to physical therapy!) I have not been nervous or afraid. It has felt like a gift. And I believe that’s what it is. The gifts of life and mobility, both of which I could have so easily lost on July 7. 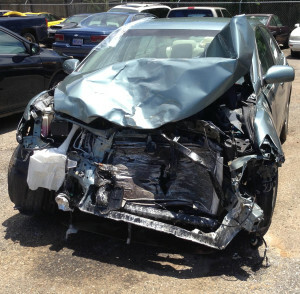 I’ve heard of people who had a hard time getting back behind the wheel after a horrific wreck, and I can understand that, even though that hasn’t been my experience. I’ve been trying to figure out why this part of the journey has been so easy. I also don’t have any memory of being in pain right after the accident. I don’t know if this is due to being in shock, or God’s grace, or both, but even when I could hear and respond to all the good people who were taking care of me—as they told me they were cutting my jeans off, transporting me to the ambulance, into the hospital, to xray, MRI, and finally prepping for surgery—I never felt any pain. On November 9 I’m returning to Fairhope to speak at the Penster’s Writing Group. And while I don’t plan to visit the intersection where the accident occurred, I’m not nervous about being down in that neck of the woods. 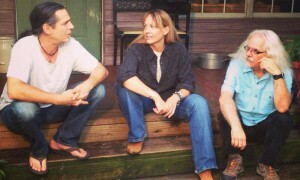 I’ve got good friends who live in Fairhope and in Waterhole Branch, where I was visiting the night of the accident. The next day, some of the contributors to the Shoe Burnin’ Anthology: Stories of Southern Soul participated in a video shoot to promote the book, which TODAY is AVAILABLE FOR PRE-ORDER! Watch the video here, and pre-order copies of this wonderful book as Christmas gifts! It will debut on November 2 at the Louisiana Book Festival. So, no, I don’t have nightmares associated with the wreck. This is truly a gift from God, and I am eternally grateful. 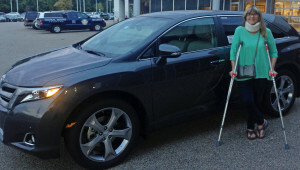 After spending ten hours at three car dealerships this past weekend (and endless hours researching at home) my husband and I finally settled on a replacement vehicle for the Camry I totaled in an accident back in July. And the winner is: the 2014 Toyota Venza. What a classy driving machine. It caught my eye across the parking lot at the Toyota dealer where we had gone to look at Highlanders. (We were comparing with the Acura MDX and a mid-size Lexus SUV.) 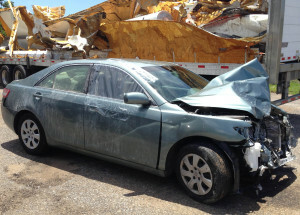 The Venza is a “crossover” design that combines certain aspects of a sedan with an SUV. I love it. So, I DROVE IT HOME (yes!) 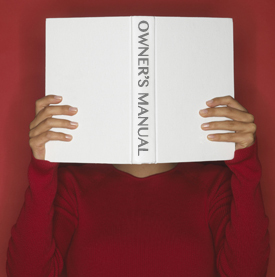 Monday night and my husband encouraged me to READ THE OWNER’S MANUAL before I start driving it regularly. The new Venza sat in the garage all day Tuesday. In the back of my mind I was thinking, “Really? Who actually reads those things?” But this morning I took the materials out and started reading. NOT the actual Owners Manual, which is 564 pages. OR the Navigation System Manual, which is 363 pages. (Can you believe there is that much information about a navigation system?) But thankfully Toyota also provides a 27-page Quick Reference Guide and a 24-page Navigation System Quick Reference Guide. So I read both of those with my morning coffee, since I have plans to take my Venza on a maiden solo voyage to a friend’s house later this morning. And I must say I’m impressed with the technical writers who put together the shorter manuals. Technical writers. Believe it or not, my first paying (and volunteer) jobs after we moved to Memphis in 1988 were in the field of technical communication, which I had never heard of. I joined the Society for Technical Communication (around 1989 or 90) and actually spent a year as their newsletter editor. Between 1988 and 1995, I worked for a marketing firm that ran capital campaigns for nonprofit organizations, then for the graduate engineering department at a local university, where I prepared newsletters and organized special events. 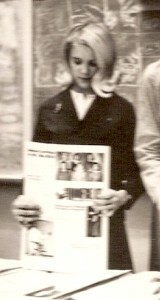 Eventually I became the regional publisher of a trade magazine for residential builders and architects. Why am I telling you all of this today? Because those early jobs in marketing and technical communication all helped prepare me for what I’m doing today—writing a novel (and essays) and creating a platform to help get my work published. It’s pretty obvious how a well-written user manual for a car or a computer or a new appliance can help make someone’s life easier, right? But technical communication isn’t just about technical or specialized topics. It’s also about how to communicate anything, including the use of web sites and social media. The newsletters I produced for various companies and organizations in the ‘80s and ‘90s were precursors to the web site and blog I would create and use to communicate in the 21st century. It doesn’t matter what the information is that I want to communicate (for me it usually involves mental health, writing, or spirituality) but it’s about how I deliver that information. And once my novel is published, I will continue to use technical communication to help market this and any future books I hope to write. And, while the actual work of writing a novel isn’t really technical writing, it doesn’t hurt to keep in mind the goals of technical communication, even when one is trying to communicate an intriguing story peopled with rich characters and settings. Maybe a well-written novel won’t make the reader’s life more productive, but hopefully it will bring about an emotional and intellectual response, calling the reader to look at the world a little differently, and maybe even to live her life differently. Now I’m pumped up to get back to work on that novel! Right after I drive my new Venza over to my friend’s house…. Fall is in the air. Last week my husband and I enjoyed three sunsets on the newly renovated rooftop of the River Inn Hotel, which overlooks the Mississippi River just a few blocks from our house here in Harbor Town (Memphis). Cool breezes and crisper night air triggered a craving for heavier foods. 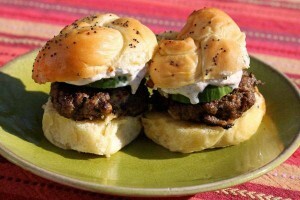 Last night we tried the lamb sliders AND the burger sliders. Both were delicious. 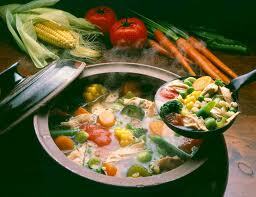 This morning I got up and started a pot of homemade soup. I only make soup in the fall and winter. And this is my mother’s “recipe,” which is loaded with browned ground beef, chicken, rice, veggies, diced or stewed tomatoes, and chicken broth. It will be ready for us tonight, when we return home from what will hopefully be our final day of car shopping. Comfort foods are staples for anyone wanting a hearty meal and a little taste of home. Their top 5 (of 100 they listed, along with recipes) comfort foods are: double crust chicken pot pie, chunky beef chili, classic chicken and dumplings, fried green tomatoes, and mom’s pecan pie. My favorite five would be: mashed potatoes, chicken casserole (many varieties), McDonald’s sausage and biscuit, cinnamon rolls, and Mom’s homemade soup with ground beef. Now, I love a good, cold, crunchy salad as much as any health nut. And I also enjoy sushi, sashimi tuna, and fresh fruit. But not so much when I’m sick, sad, or when the weather begins to turn chilly. There’s even a spiritual element to this food craving. Some Orthodox (and I think this is true of other spiritual traditions) writings on fasting and food say that eating hot (and especially spicy) food stirs up the passions of the flesh. Others say that consuming foods that are warm, rather than at room temperature or cold (like nuts and fruits and raw vegetables) tends to encourage laziness and self-satisfaction. I have definitely found this to be true when I eat red meat and drink red wine (a favorite combination of mine is a good tenderloin filet and a nice glass of cab)… I usually am ready for bed shortly after this feast. Whereas, when I eat a lighter meal, I am often energized to work or exercise or be otherwise productive. Here in the South (and maybe in other parts of the country, too) we definitely like to feed people when someone dies. 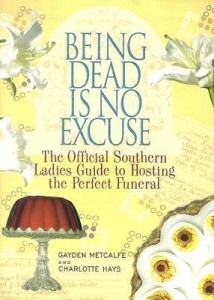 Gayden Metcalfe wrote about this with great humor (and success) a few years ago in Being Dead is No Excuse: The Official Southern Ladies Guide to Hosting the Perfect Funeral. Who takes healthy, low-fat, dishes to a wake? With the exception of bing cherry salad and tomato aspic, most of the offerings are heavy, warm, and comforting. Nostalgia definitely plays a part in our food cravings. 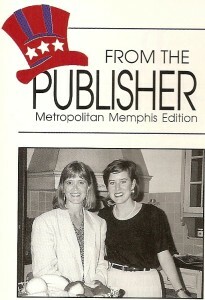 When I was at Ole Miss, my favorite day for lunch at the Tri-Delt House was tomato soup and grilled cheese sandwich day. I still find that combination very comforting. What are your favorite comfort foods? Do you find certain foods emotionally soothing? I’d love to hear from you! On my way home from my 7:45 a.m. physical therapy appointment this morning, I began to think about what I might write for today’s post. I was feeling dry, spiritually, but full of hope and encouragement, physically and emotionally, after my first PT session since I began weight-bearing on my foot. I really like my physical therapist, Pritha, a lot. She’s from India, and she has a calm but strong way of healing. I’ve grown to trust her as she stretches my foot and flexes my ankle, and leads me through strengthening exercises. 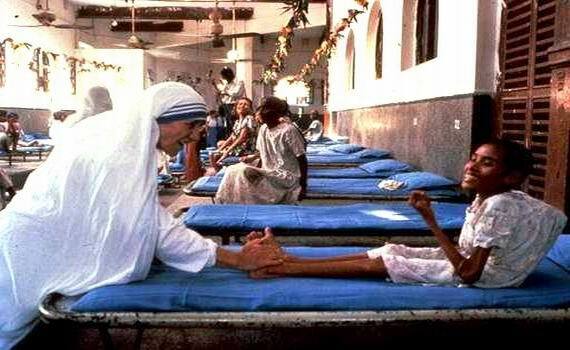 I’m sure she would be embarrassed by the comparison, but I can’t help but think of Mother Theresa and how many lives she touched with her healing hands. And just three days ago, my wonderful massage therapist, Tammy Shouse, laid her healing hands on my wounded body for the first time in over three months. I had to wait for the neurosurgeon to say it was okay for her to work on me, which he finally did, last week. Like Pritha, she is both calm and strong, and I trust her to help heal my body. Dedicate (donate, give all) your life to something larger than yourself and pleasure—to the largest thing you can: to God, to relieving suffering, to contributing to knowledge, to adding to literature, or something else. Happiness lies this way, and it beats pleasure hollow. While I hope to do this by my meager offerings to literature–Madeleine L’Engle said “We all feed the lake.”–women (and men) in the healing professions have certainly been on my radar since my accident on July 7. 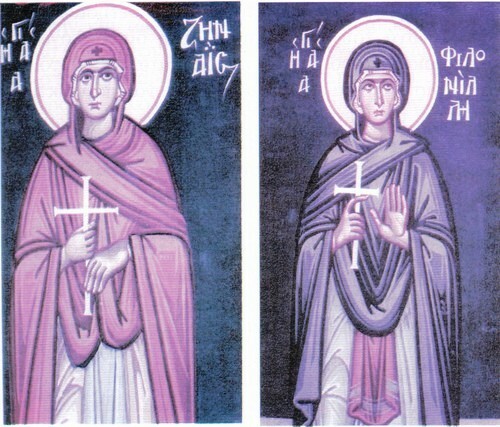 And so this morning it was a joy to read about the lives of two such healers who have been canonized as saints in the Orthodox Church: Saints Zenaida and Philonilla. I could tell you their story, but I think you would enjoy my friend, Alex Riggle’s, version better. Alex always adds just the right amount of humor to his posts over at The Onion Dome, and today’s post about Zenaida and Philonilla is a great read. Physical and massage therapists. Physicians. The women (and men) who heal our bodies, the earthly homes of our souls. 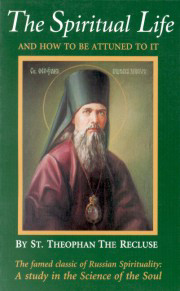 These are the saints (canonized or not) for whom I am thankful today. About a year ago, I did a post about literary and commercial fiction. I continue to think about these categories, especially as I work on revisions of my novel. Why? Because some of the conceptions I’ve had in the past about literary fiction hang around my subconscious as I work –with help from a talented editor—to pull my story up to higher standards. But what are those standards? 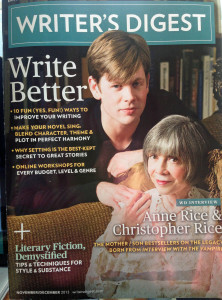 Jack Smith, author of Write and Revise for Publication (Writer’s Digest Books, July 2013) wrote an excellent article for the November/December issue of Writer’s Digest on “Understanding the Elements of Literary Fiction.” If you’re writing fiction you should get the magazine and read the complete article. I’m just going to touch on a few of his main points briefly here, so I can get back to work on my novel! I always thought one hallmark of literary fiction was flowery language. Smith talks about language in terms of avoiding sentimentality without losing the emotional connection that authors want with their readers. How? Descriptive literary language doesn’t have to be florid. Rather, it escapes purple prose with the use of apt similes, metaphors and analogies for states of being, actions, thoughts and emotions…. Such language can suggest abstract and universal ideas, which can contribute greatly to thematic development and levels of meaning in a work. Those “levels of meaning” are crucial to the success of a literary fiction project. How do we achieve that? One way is through symbolism. Now we move to the real core dividing line between literary and genre fiction: the fact that literary works transcend the surface levels of plot, character and setting. Literary fiction must allow for, or lend itself to, interpretation of human experience, establishing a visions (if not a particular worldview) of what it means to be human. He goes on to give concrete examples and suggests the author consider such topics as psychology, history, sociology, philosophy, religion and ethics as the framework of our writing. To make larger insights possible, you must choose the point-of-view character that allows for the greatest capacity to introduce several levels of meaning. While the literal level of the story or novel is important, successful literary fiction hinges on whether there is more at hand, meaning-wise, than what appears on the surface. Again, these are just a few “teasers”…. 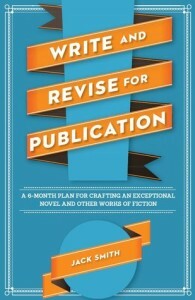 Read the article to get the tools you need to write or revise your work and help it become great literary fiction. 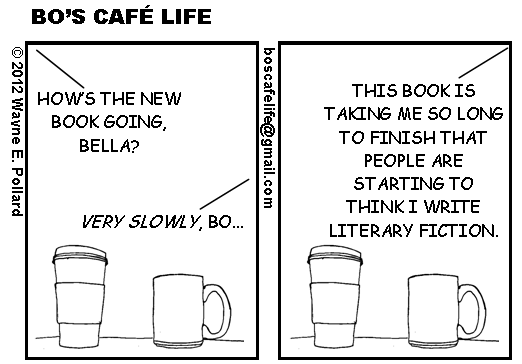 Meanwhile, enjoy these great cartoons from Bo’s Cafe Life!